Healing with Minerals we are authorized dealers of Youngevity products, and faithful supporters of the investigation by the Dr. Joel Wallach. We offer natural products of the highest quality to change and enrich your life and your family. We have customized plans to help overcome health problems, free advice and support as you use our products. "Every man, woman and child needs 90 essential nutrients to survive and become stronger. In the same way you can increase the likelihood of living longer and with better quality, if he can consume these nutrients every day." 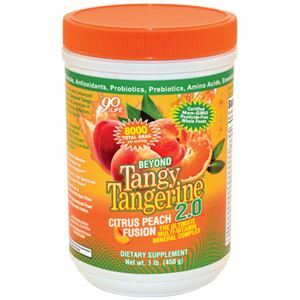 Beyond Tangy Tangerine 2.0 (BTT ), it is now an easier way to provide your body the essential nutrients needed for optimal health. This multivitamin mineral complex contains: Whole Food stuffs, minerals, trace elements, antioxidants, prebiotics and probiotics, amino acids, more nutrient synergy for maximum absorption for the body. With an ORAC score of 8,000, you get even more antioxidants to fight free radicals and support your overall health. MTB 2.0 is gluten-free, allergen-free seafood, organic, non-GMO (not genetically modified) foods free of pesticides whole. Our collection Healthy Body Paks it contains 90 essential nutrients that our body needs for optimal health. 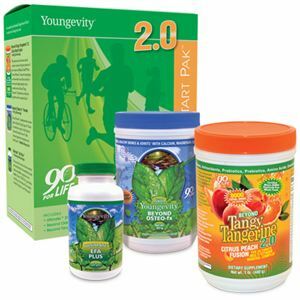 These nutrients are concentrated in “Youngevity Healthy Body Start Pak™”, and they are a set of selected for its excellent nutritional content, quality and efficacy supplements. This includes Beyond Tangy Tangerine®, Beyond Osteo-fx™ y Ultimate™ EFA Plus™. This complex multi-vitamin / mineral containing our famous "Majestic Earth ® Plant Derived Minerals ™" is the most advanced multi-vitamin until today! It contains powerful, nutrient co-factors synergists, and a prebiotic and probiotic mixture promotes intestinal absorption maximum. 480 g (30 servings). 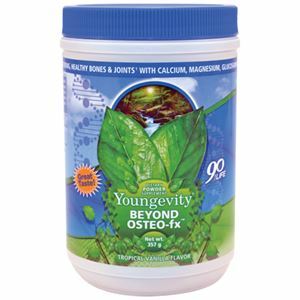 Beyond Osteo-fx™, Restores bone and joint health with a powerful antioxidant formula aimed at eradicating free radicals, direcionandose to nutritional deficiencies that lead to inflammation. 357 g (30 servings). 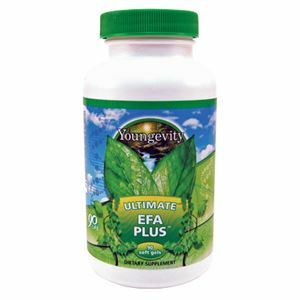 Strong scientific evidence has documented the effects and benefits of essential fatty acids, including heart health, improved cognition and eye health, this balanced formula includes Omega 3, 6 and 9 fatty acids. 90 soft gels (90 servings). Healthy Body Start Pak™ provides excellent nutritional foundation for people of all ages. But this is just the beginning. We all face different challenges, such as health problems and pressures of everyday life, representing individual nutrient needs. Fortunately, Youngevity It offers more than 400 solutions nutrition and lifestyles (food) to meet specific needs of each person. 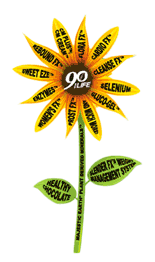 To illustrate the concept of how “Youngevity” products work together, think of a beautiful sunflower: The center represents the 90 essential nutrients. The stem represents our "Majestic Earth® Plant Derived Minerals™". The petals and leaves represent nutritional support for different health problems. Overall, the center, stem, petals and leaves flower blossoming form an image of bright and health. Why vitamin supplement? You must give your body all the raw materials it needs to maintain and rebuild. The raw materials are so vital to your health, but it can be very difficult to find. Centuries of mining, agriculture, irrigation and acid rain have eroded minerals that give life to our soil. These mineral soils deficient are then used to grow and grow our food. Because of this, our food is deficient in essential minerals. In fact, Dr. Wallach said: "A sentence has killed more people than all the wars in American history ... You get all the nutrients you need from the four food groups." "99% of American people are deficient in mineral, and a marked deficiency in any of the most important minerals actually results in disease." - Senate Document # 264 in the 74th Congress, second session, in 1936, written by Rex Beach (click here to view document please). Did you know that only 8-12% of the typical nutritional supplements available today are actually absorbed by your body? That means that approximately 90% of the typical supplements are flushed down the drain.